Did you know that Marie Antoinette used to dress like a peasant and milk cows? I bet you assumed that Champagne was constantly flowing, but in fact, hot chocolate was the preferred drink of royalty. The most well-known home in the world still has a few secrets to share. The King’s private chapel located inside the Palace. Versailles is open everyday 9am-5pm except Mondays. Closing times can vary between high (April-Oct) and low (Nov-March) seasons. Check out the official website to see the most up to date times. Buy your ticket online, otherwise you’ll be wasting precious time standing in line waiting to get in. You might want to opt for the “Timed Entry”. Sometimes even the line for ticket holders can be very long, so having a Timed Entry ticket promises you entry to the palace within 30 minutes of your reservation. Everyday except when there is a fountain show. The RER C train will take you directly to Versailles. If you aren’t close to a RER train station, take the metro to the closest station such as the Eiffel Tower, Musee d’Orsay or Notre-Dame. 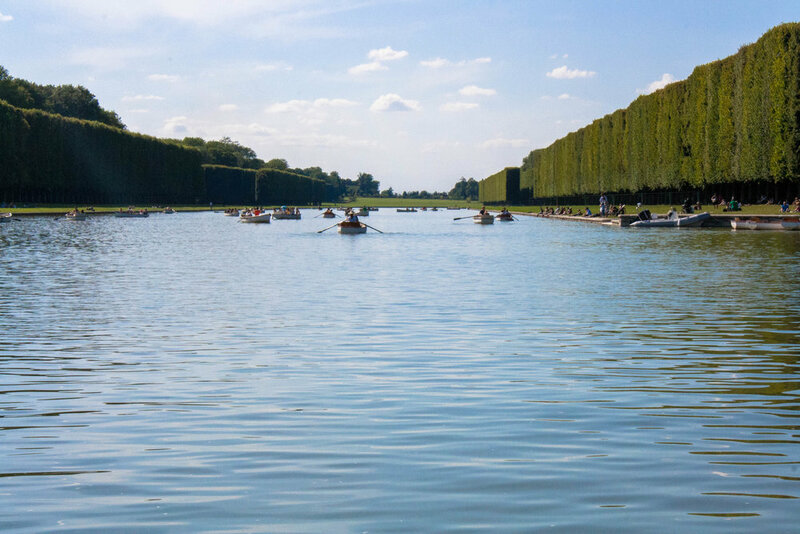 Once you are in the RER station, purchase a roundtrip ticket to Versailles Château-Rive Gauche. It’ll cost roughly 7 Euros. You’ll be given 2 tickets, remember which ticket you’ve activated on the way there. Note: Not every RER C train goes to the palace. It’s very important you check the screens and you board trains that’ll say Versailles Chateau-RG’ , ‘Versail. Chat’, VICK or VITY. It’s about a 40 minute train ride to the palace. 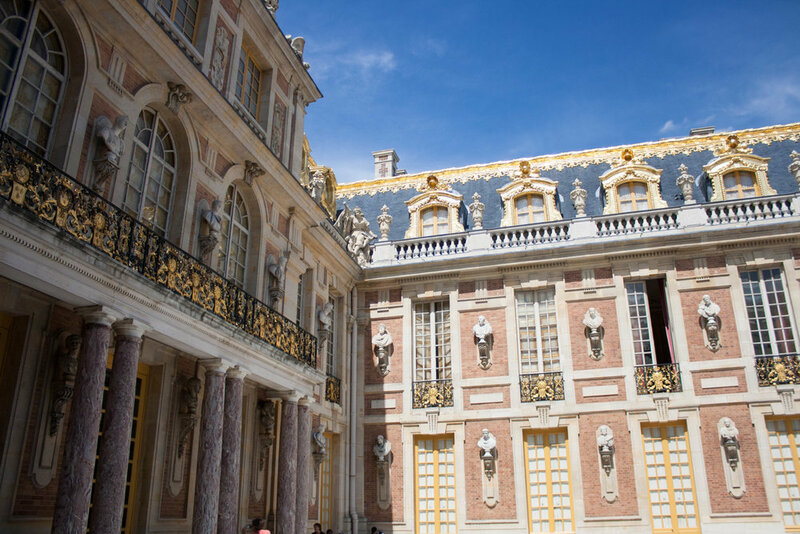 Originally designed as a hunting lodge in 1631, it took another 50 years until the palace was officially designated as France’s national government offices. Versailles remained the epicenter of government for over 100 years until a group of young and hungry revolutionaries stormed its gates sending Louis XVI & Marie Antoinette back to Paris to their deaths. 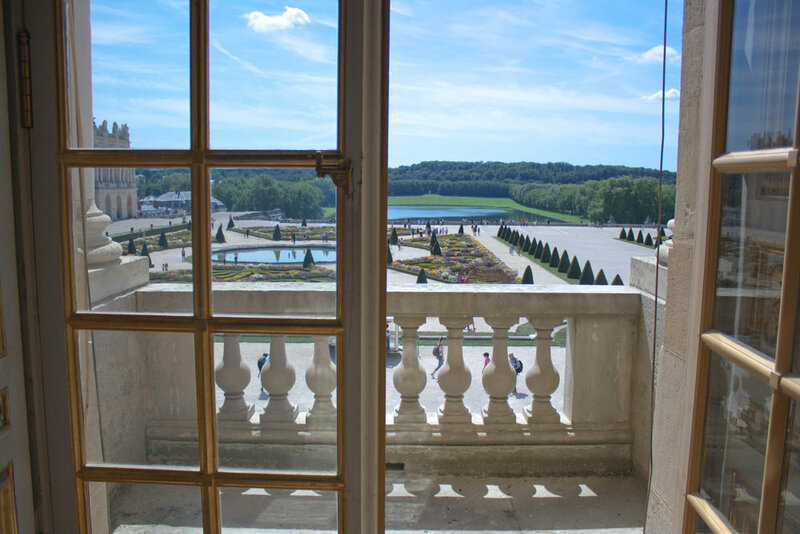 Abandoned and taken over by the Germans in the 1870’s only to be give back to France and restored, Versailles has seen a lot of changes. UNESCO designated the palace and its gardens a World Heritage site in 1979. 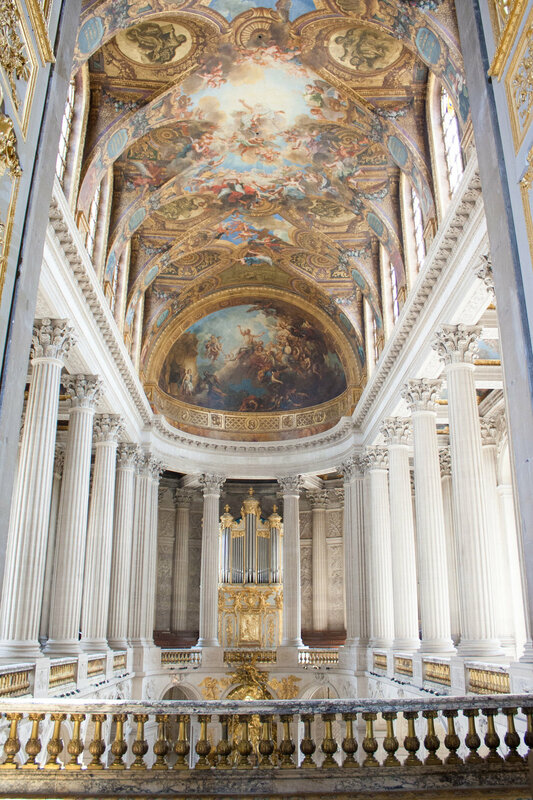 Today Versailles is the epitome of style and lavishness. 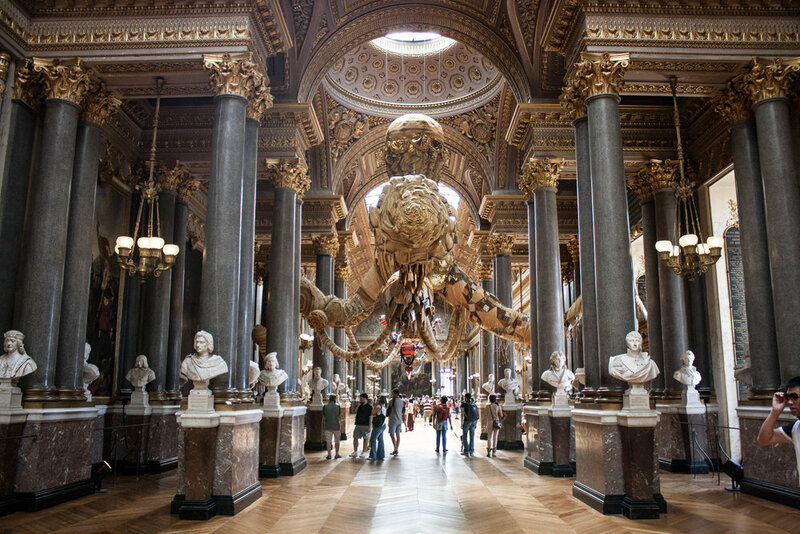 More than 10 million visitors a year walk in the footsteps of French Royalty. View of the Gardens from inside the palace. 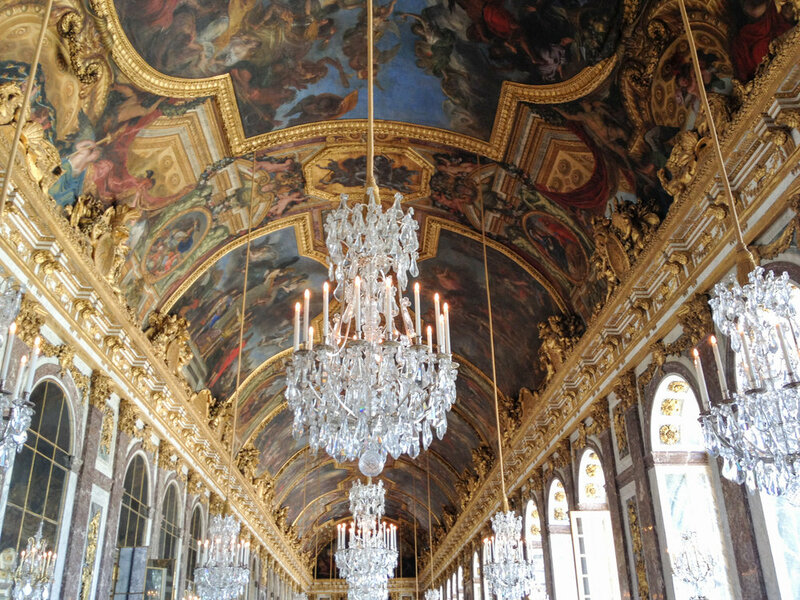 The Hall of Mirrors comprises of 357 mirrors. This hall has seen many lavish parties, some of the world’s most important people and political changes. The Treaty of Versailles, ending the First World War, was signed in this hall - June 1919. Portrait of Marie Antoinette and her Children, 1787. View from the Palace into the Park. From this spot to the end of the canal is a 2 mile walk. 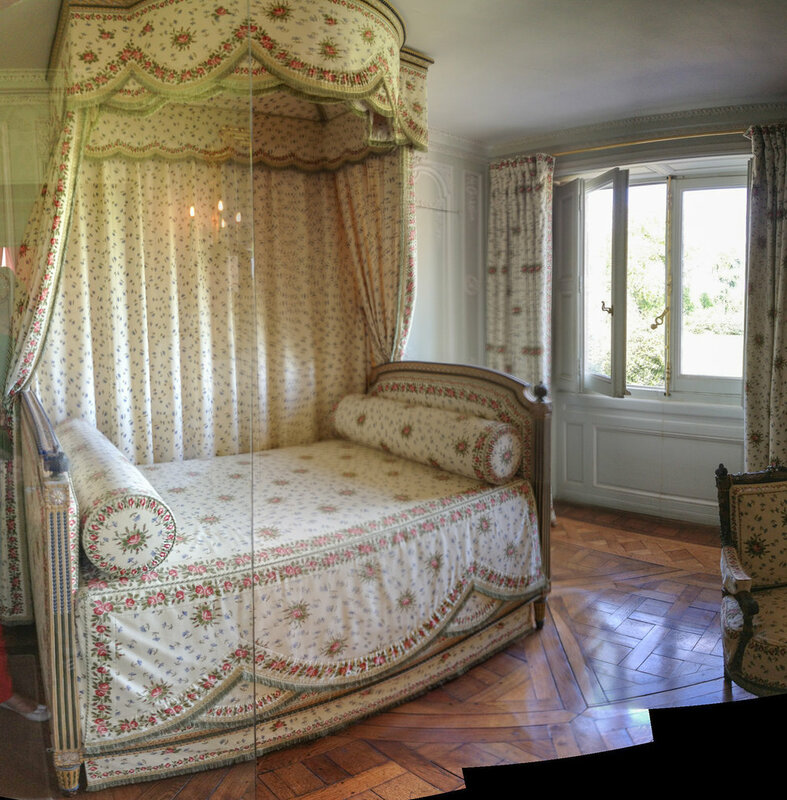 About a 25 minute stroll from the chateau is a little village Marie Antoinette created called the Queen’s Hamlet. The village was built as a modest escape from the lavish lifestyle of Versailles. Complete with a pond, barn and working dairy, it’s said Marie Antoinette spent much of her time here dressed in peasant clothing, grasping for some sort of normalcy. Then on the other hand there are stories of her many lavish parties and secret love affairs that would play out in the hamlet. Marie’s lifestyle led to some bad feelings among the people of France, ultimately the storming of Versailles and her death. 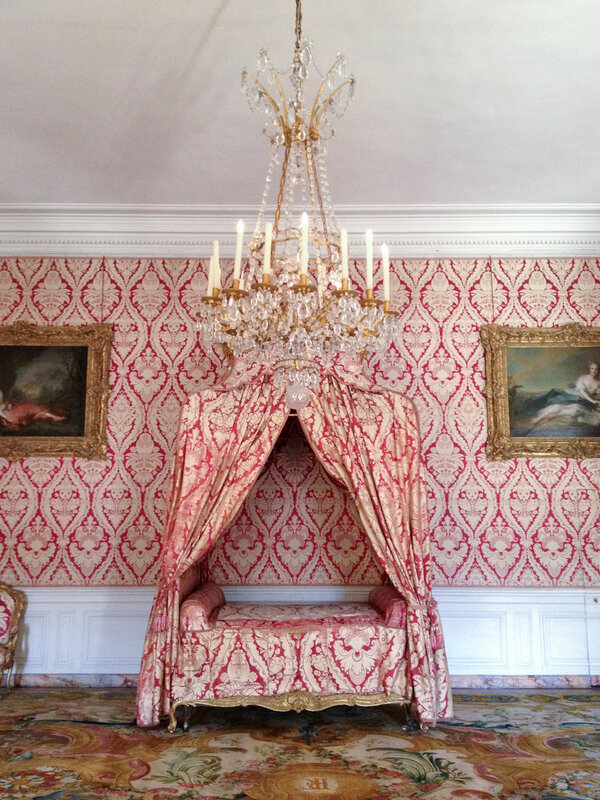 Marie Antoinette’s bed at her private estate. View of the Palace from the Gardens. Do bring comfortable walking shoes. The grounds cover nearly 2,000 acres including the 700 rooms just inside the palace. Do allow yourself the entire day to explore. Do create a meeting spot if you’re exploring with a group. Do bring sunscreen! You’ll be spending more time outside than inside. Do some light history reading before you arrive! Do put down the camera & phone for a while to take a rest (or nap!) underneath one of the thousands of trees in the park. 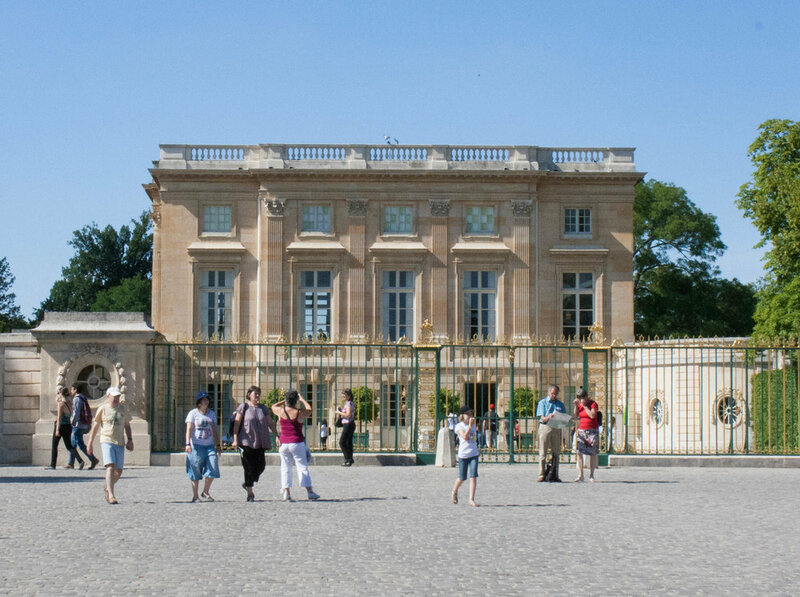 Don’t miss Marie Antoinette's private estate. Don’t be too grumpy about the price of food and drinks. It’s just 1 day. Don’t take photographs with the flash. Don’t forget your headphones if you’re listening to guided app. Don’t feel guilty about quickly moving past rooms or sections that you aren’t too interested in. There’s so much to take in, so find something that calls to you! The Grand Canal is open for boat rentals during good weather. A mix of modern art amongst old busts.